It's Official! Grand Floridian DVC! But now, an official announcement! Clair Bilby, DVC's new Senior VP announced yesterday at the annual Condominium Association Meeting, that "Disney's Grand Floridian Villas" will be opening in late 2013. 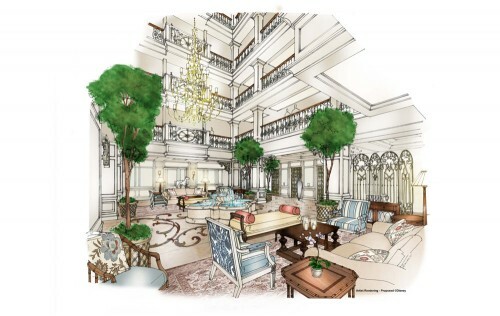 Or will it be "The Villas at Disney's Grand Floridian"? Check out the official artist's rendering. If you look carefully, you can see the Monorail coming around the corner in the upper right! With Bay Lake Tower almost sold out, and plenty of new tourists coming to Disney and wanting new DVC resorts to purchase, it makes perfect sense that Disney would be looking for something new and exciting to offer. I can only speculate that like the Villas at the Grand Californian and Bay Lake Tower, the price per point will be quite high, at least $140/pp, and I would also venture to guess the number of points needed to book the rooms will be high as well. Here's another image released yesterday, an artist's rendering of the possible interior view of the lobby. It appears to be at least 5 stories tall, and has the beauty of the Grand Floridian we already know and love, but with a more intimate "Welcome Home" DVC feel. The announcement states that there will be a total of 147 villas available. This is on the smaller side for DVC. In comparison, Bay Lake Tower has 295 2-bedroom equivalent villas, while Saratoga Springs has over 1,200! The Villas at Wilderness Lodge is will be the next smallest on property, with just over 180 villas. If you're trying to get a better idea of where this building will be located, check out this image below. I personally was able to see this area while riding the Monorail this past September, and indeed there were stakes in the ground and things appeared to be marked off. This looks to be a great addition to the Disney Vacation Club. Bay Lake Tower's location on the Monorail line has been very popular, and I would think the Monorail will be a big selling point at the Grand Floridian as well. Although the building will be separate, there should be lovely walkway to connect the DVC building to the main Grand Floridian. Ms. Bilby also mentioned a children's water play area, and I would assume a pool. 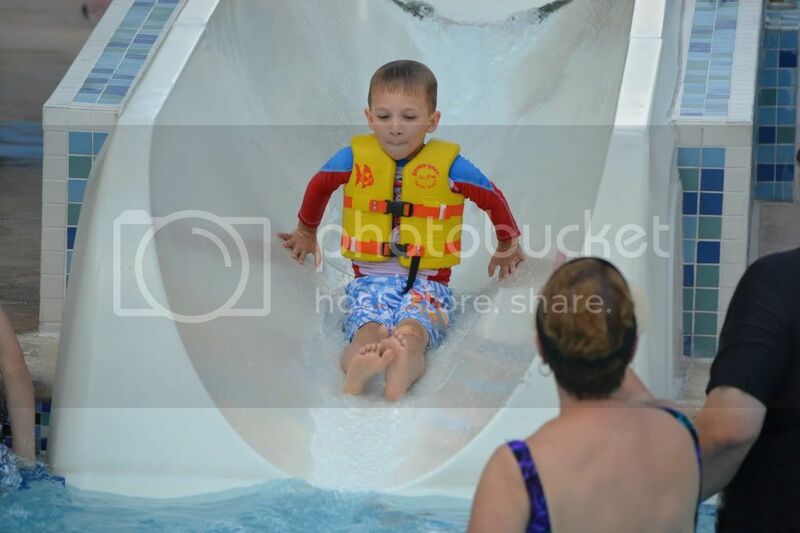 My children love the water play area at Kidani Village, and I would love to see something like that here. So, what do you think? Will you be saving your pennies to buy Grand Floridian points? For our annual week long trip to Walt Disney World, we usually purchase the Disney Dining Plan (DDP). Since we have 3 children under the ages of 9, this is usually a good deal for us. One of the things I love about the DDP is the convenience and, let's be honest, snacks and desserts. When not on vacation, we generally do not eat as many sweets and desserts, and so while at Disney I really do enjoy these special treats. If you are a DDP newbie, its important to know that there are literally thousands of items available to you as a snack credit. Although the official Disney brochure mentions things such as a soda pop, a bottle of water, a box of popcorn or an ice cream bar, the actual options available are much more varied. For more great info, you can check out one of my most popular blog entries, "Ins and Outs of the Disney Dining Plan". Over on the DisBoards, they have a yearly list that tells you items that have been confirmed as a snack on the plan, so check that out here. Anything that is available to purchase with the DDP is also available to those paying cash, so don't despair if you must try some of these yummy items and you are not on the dining plan! But lets get to the important stuff, the food! Not to be confused with rice pudding, rice cream is exactly as it sounds, a sweet concoction of soft rice mixed with sweet whipped cream. To add to the light deliciousness of this traditional dessert is a strawberry topping. I first tried this dessert at Akershus Princess Storybook Dinner where it arrives family style with chocolate mousse and a marscapone mousse puff pastry. But there is no need to book the $40 buffet to try rice cream as a simple walk across the street to the bakery will find it available to go as a snack credit! If you choose to use a quick service credit to eat lunch or dinner there, you can choose the rice cream as your dessert option. I first discovered this hidden little gem when I was a teen. In order to find it, you need to walk into the back of the France Pavilion, and simply look for the line of people. While hidden, it is not unknown nor unpopular. 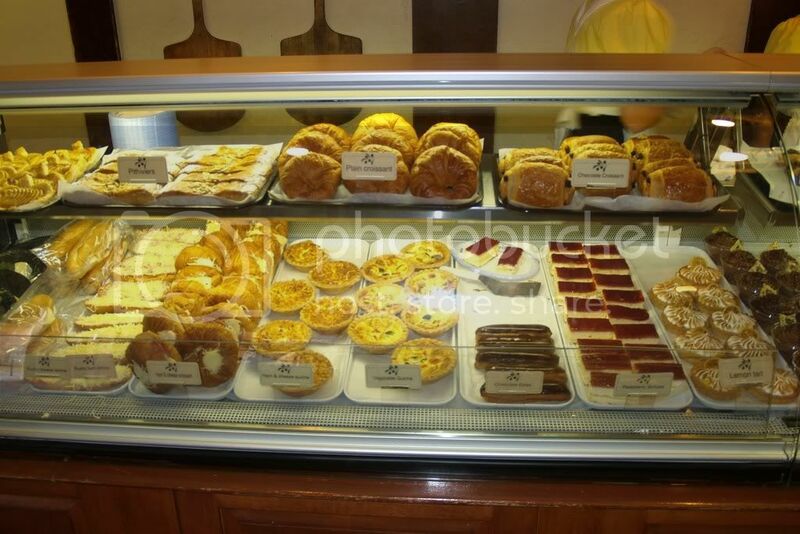 The wonderful thing about the patisserie is the sheer number of delicious choices. They have everything from fruit tarts, cookies, eclairs, chocolate mousse, and various croissants. If you've had a huge breakfast at Chef Mickey's, and are hungry for just a light lunch, try a ham and cheese croissant. Its a great way to stretch your dining plan credits and make a mini-meal out of a snack. They will package your goodies to-go, and I've been known to walk out of Epcot with a pastry box full of goodies to enjoy later. I was turned on to this by my dear Disney friend @RNawaymama on our last trip this past September. (You can check out her blog at Tiny Bits of Magic.) I'm already a huge fan of the Sunshine Seasons food court, and I think it is one of the best uses of a quick service meal at WDW. Traditionally, I get the Soarin' Brulee (see #6). Once she showed me that brownie, though, I had to use a snack credit and take one home for later! The brownie has a graham cracker crust, then the chewy brownie on top (chewy brownies are my fav), followed by mini-marshmallows, and then drizzled with caramel and chocolate. Uh, YUM! This was another first of mine on our most recent trip. While the boys were riding Space Mountain, we decided a mid-morning snack was in order. While they call this a cinnamon bun, it's more like a cinnamon loaf. It is positively huge, and a great way to split a snack. You can also get this as a breakfast quick service option with a beverage and fruit. Probably not the most economical use of a quick service credit, but if you had extras as we did, well worth it! When I first got it, I figured there would be plenty for all, but once I started eating, it was hard to control myself and leave some for my boys! Unlike some other cinnamon buns I have had, this one was super soft and light throughout. It was just about as close to perfection as Mary Poppins herself. 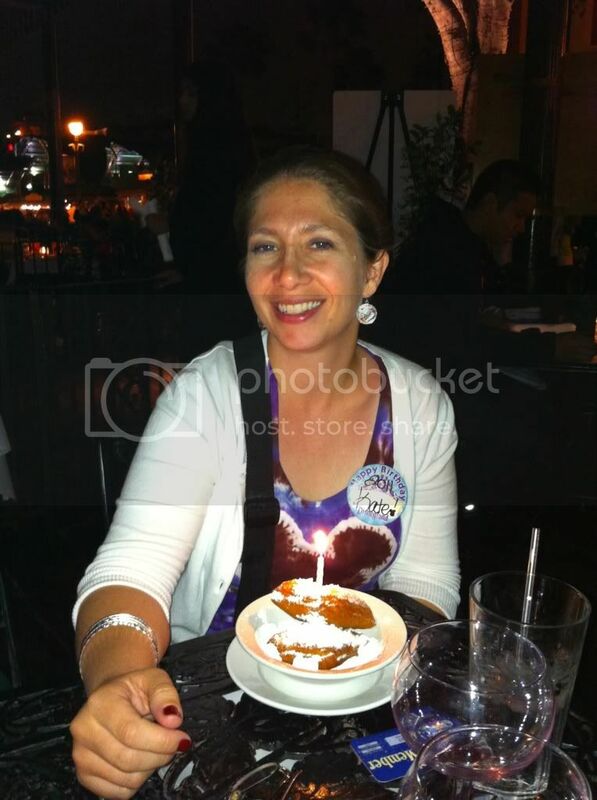 I have to admit, that I just plain old LOVE creme brulee. This is not something that I can easily recreate at home, nor is it common to find it at restaurants in our area. 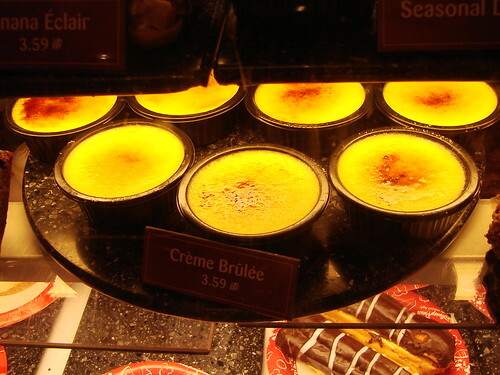 There are several places at Disney that serve creme brulee, and the maple creme brulee at Le Cellier is awesome, but a lot more difficult to get. At Sunshine Seasons I can have it as a light and delicious end to my meal, or get it to-go as a snack credit. As far as creme brulees go, it's probably not the best ever, but as I said, I just LOVE creme brulee! It has a nice creamy and light center, with that all important caramelized crust that I love. To be fair, unless you are staying at Animal Kingdom Lodge, these are a little bit difficult to come by. They are part of the dessert buffet at Boma, and if you haven't tried Boma, it is well worth a visit. It is one of my favorite buffets at Walt Disney World. But if you have a hankering for some yummy zebra domes, their signature dessert, look no further than The Mara. The Mara is the Lodge's quick service dining option, located near the pool. And, like many of my other favorites it seems, you can either use a snack credit to get your hands on this yumminess, or you can get it as the dessert part of your quick service meal. Zebra domes are basically a small sponge cake base, with a dollop of light chocolate liquor tasting mousse, then covered in a white chocolate frosting with dark chocolate stripes which gives it the "zebra" name. Now, I must admit I love these, and it seems many others do as well, but some are just not impressed. It's a love it or hate it kinda thing I guess. But again, I can't get them anywhere else, nor can I recreate them easily at home. I'm already planning how I'm going to get my hands on some when we stay at Kidani Village in February! Who doesn't love funnel cake? While I don't enjoy ending up covered in powdered sugar which seems inevitable when I eat one of these, there is something about that lovely fried sweetness that's too good to pass up. Usually this is my firework/parade watching snack in the Magic Kingdom. Similar to an Elephant Ear, or Fried Dough, a funnel cake is basically the same type of batter that's been poured into hot oil and fried, then lightly dusted with powdered sugar. This is also a great snack to share as it pulls apart easily into smaller pieces for all to enjoy. 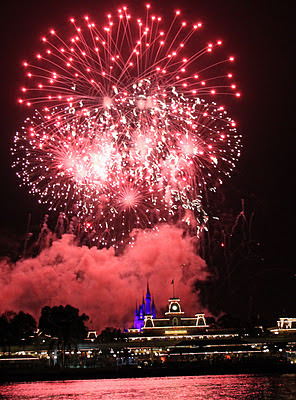 It's just not "Wishes" fireworks to me at Magic Kingdom, if I'm not munching on some funnel cake. It's important to know, that although you can use a snack credit to get funnel cake with powdered sugar in the Magic Kingdom, the funnel cake stand in Epcot will not accept a snack credit. Strange, but true. 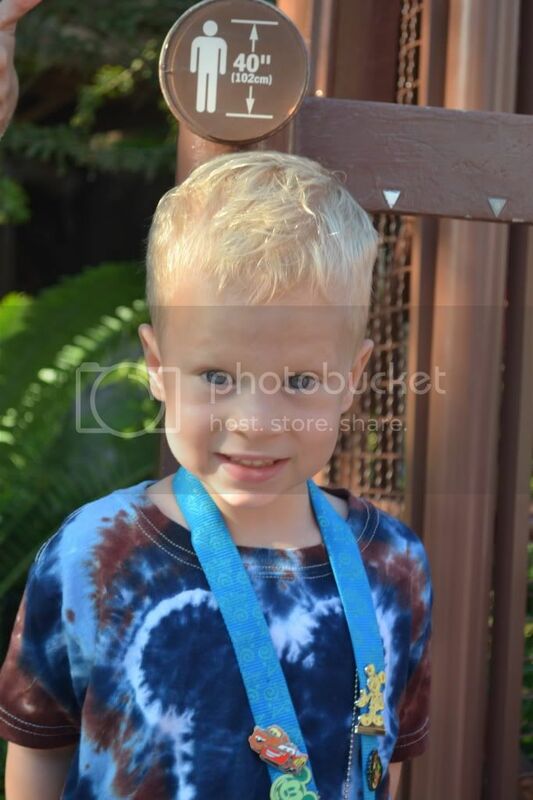 My middle child seems to get hot rather easily, and he just loves frozen beverages at Disney to cool him down. 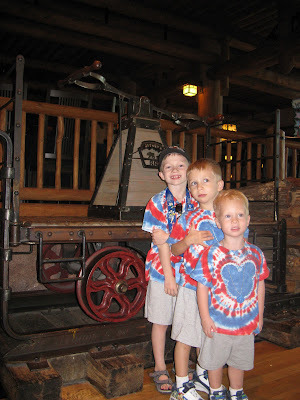 A few years ago after a fun ride on Toy Story Mania, we discovered this little cart just across the way. They serve both frozen coke and frozen raspberry lemonade, known there as a "Wheezy's Breezy Freezy". Wheezy if you don't remember was the squeaky penguin from Toy Story II. Now we always get at a least one of these, and the frozen raspberry is my favorite of any frozen beverage at Disney. I do think the regular frozen lemonades and other frozen beverage carts are a good use of your credits if you like "Icee" type drinks, and they do wonders to keep you cool on a hot Florida day. 2. Mickey Premium Ice Cream Bar, available everywhere! Up till a few years ago, I couldn't figure out what the big deal is about a chocolate covered ice cream bar. They sell those at my local Target, right? Well, a Mickey Premium is so much better! Besides the awesome Mickey shape, the ice cream is very rich and creamy, and the chocolate is both of an excellent quality and surprisingly generous thickness. Its simply like the ones in Target only 10x better! Be forewarned though, they can melt quickly and I've found that the melted mess can be a bit much for kids, so sometimes its better to share, or find a shady place to sit and eat with lots of napkins. I've been enjoying these refreshing treats since I was a kid, and I think my family discovered them by accident while looking for ice cream. But since then, a trip to Disney is not complete without a Dole Whip. Dole Whips are a frozen dessert that reminds me of a cross between a sorbet and ice cream, while not really being a sherbet. It comes in a fabulous pineapple flavor which you can have solo, or mixed with vanilla. 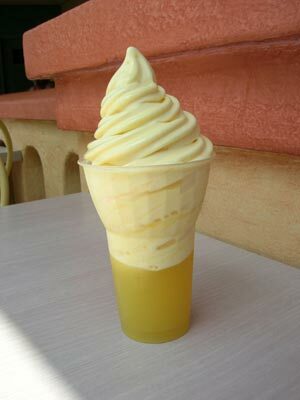 You can also have it as a float, as is my preference, with Dole pineapple juice. It is great for a hot day, and is available in only very limited locations in the continental United States. It is also available at Captain Cook's quick service located inside the Polynesian resort. You can also get a great quick service meal there (try the grown up grilled cheese) and get the Dole Whip (not available as a float) as, you guessed it, your dessert! 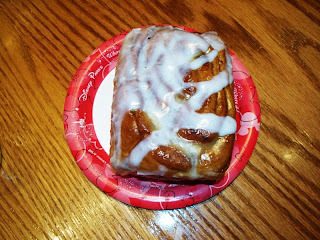 Do you have a favorite WDW snack? Any suggestions of what to try on my next trip if I can tear myself away from my old favorites? Let me know in the comments below! Believe it or not some people actually do visit Disney without children, but since most people visiting for the first time will include at least one child, it's a good idea to be prepared! A trip to Walt Disney World with your kids is not quite as simple as a trip to your county fair. Some forethought and careful packing can make your trip that much more enjoyable. Since Disney Cast Members are taught that safety should be the most important thing in their mind at all times when "on stage" at the resort, I think it deserves to be first when it comes to my Disney advice. Disney is really very safe for children. Lets face it, if you're going to lose your kid in a crowded public place, Disney is probably the safest place to do so. Disney Cast Members are trained to look for lost kids, and what to do if one is found. I have even heard stories of undercover Disney security staff that pose as tourists that are there for safety and may lend help in a lost child situation. That said, it's a good idea to have a few safe guards in place, should this happen to you. My kids each wear a "safety badge" on their person in case they get separated from us. Now, if I ask my 6 year old his name, and my cell phone number, he will gladly tell me. But if he were to suddenly find himself separated from me at Walt Disney World, was scared, and these same questions were coming from a stranger, I'm not entirely sure he would be able to answer. I also worry that should there be a major accident or separation from my youngest son, would emergency personnel know he is allergic to certain antibiotics. So, his safety badge also contains his allergy information, while my other two sons' say "NKA", medical talk for "No Known Allergies". Can you tell their mother is a nurse? My boys, in their "Disney Uniform" with" Safety Badges"
Check out My Precious Kid that sells "dog tags" on a clip. You can also get them made at your local PetSmart or PetCo. Make your own tags out of paper, decorate with Disney stickers, and laminate them to stay dry. You can use whatever you like, but just don't rely on a younger child to be able to think coherently and remember your cell number when they are frightened. Also, don't write the information on the inside of your child's clothing. Disney Cast Members are not allowed to remove or look under your child's clothing for obvious safety reasons for both your child and the Cast Member. It will be much easier to describe your child to a Cast Member if you remember what they are wearing. You can do this in several ways. The easiest thing to do is to take a picture of your kid with your cell phone each morning. That way you can show the cast member a photo of the child that day, and get an accurate clothing description. A bit more work, but a lot more fun, have a daily kid "uniform". 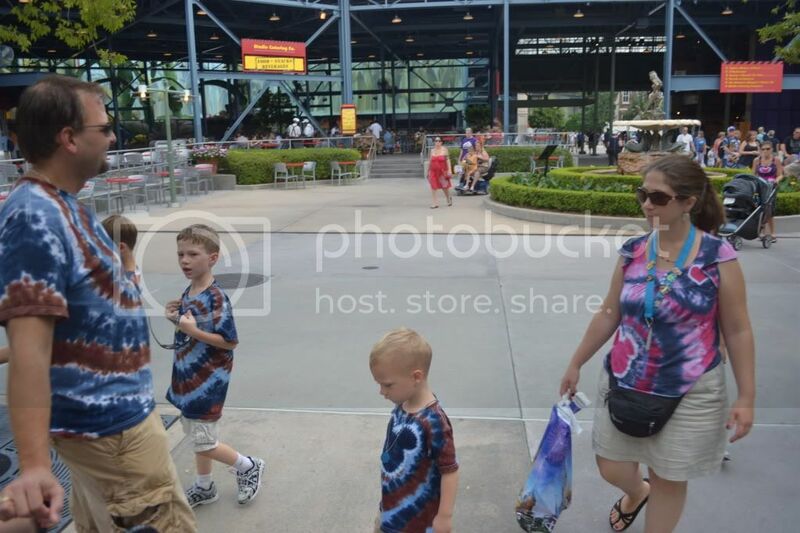 We dress our three sons the same on each day of our trip. 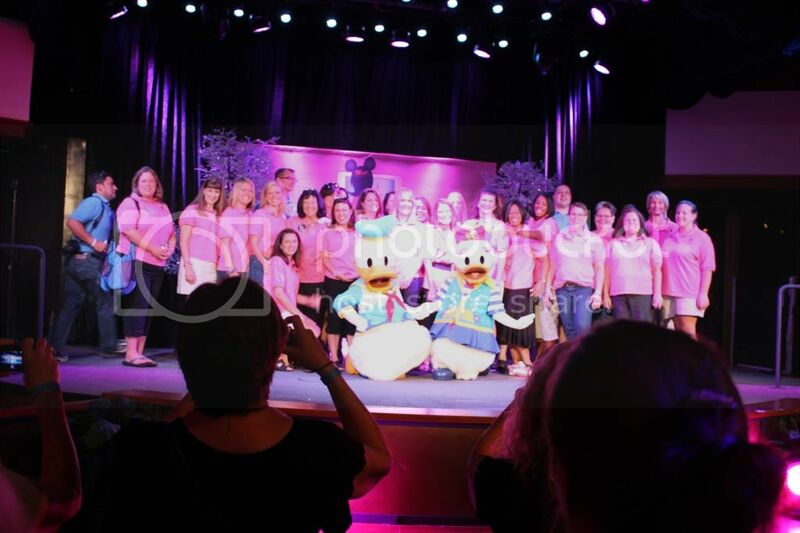 You can order personalized Disney tees online, get matching shirts from the Disney Store, get basic matching shirts on sale from Michael's Craft Stores in bright easy to see colors, or check out Jiffy Shirts online and order a few for your kids. Bright designs are easier to spot in a crowd, and you can point to your other child and say, "Little Johnny is dressed just like that"! For one of our trips where we were with friends and a total of 8 kids, we bought lime green shirts from Michael's and did an iron on of each dwarf plus Snow White. 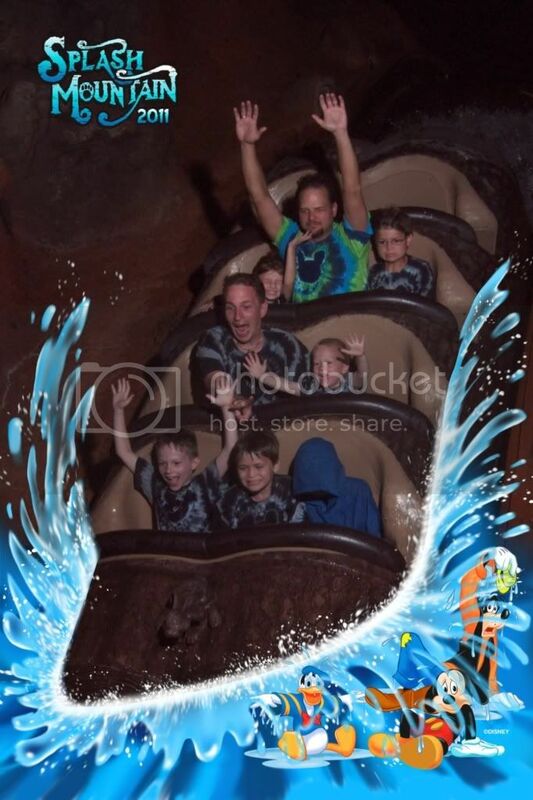 When we thought we lost one of the children, (really he was just with his mom and we had all gotten separated in a rain storm), we were able to say to the cast member, "he is wearing a shirt just like those, with 'Grumpy' on the front". When our then 2 year old walked out the exit of Dinoland's "Boneyard" playground, a passerby swooped him up and brought him back in. She took one look at me in my matching shirt (and probably panic stricken look on my face) and said "This must belong to you"! While I'm not saying you have to match your kids uniforms, you can if you like, and it does make staying together a bit easier. Mom and dad, you should remember this too! If you realize your child is missing, try not to panic. 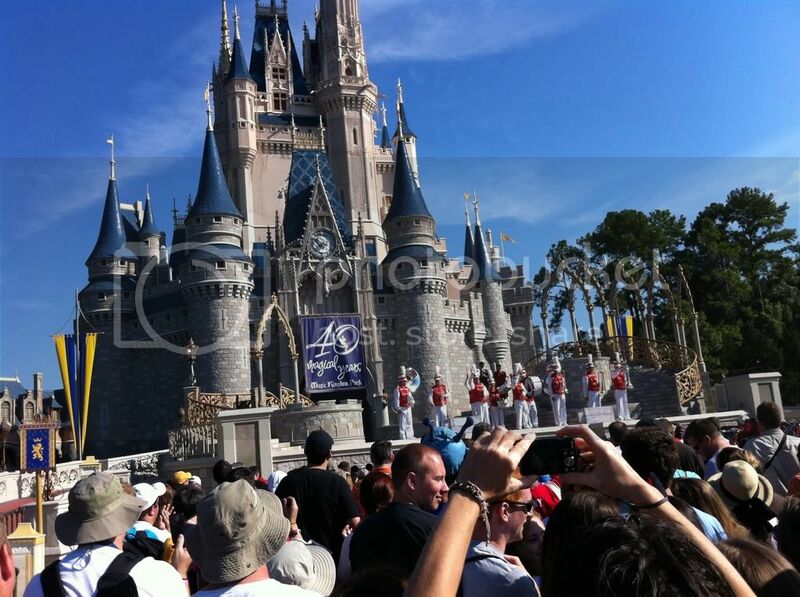 Find the nearest Cast Member (remember that badge right?) and ask for help. You have never done this before, they do this every day. A friend who did lose her child at Disney told me how she forgot my advice, went into panic mode, and began running down the street calling her child's name. Out of nowhere, a Cast Member grabbed her arm and said "Ma'am, its okay, we will find your child". In fact, Disney had found her lost child before she had even realized the little one had gotten out of the stroller and wandered off, lured by the sparkling beauty of a Disney Pin kiosk. Remember, keep calm. Find help. Be sure to have your medical insurance card with you on the trip. Bring extras, or copies of any essential prescriptions your child may need. While its probably not the end of the world if they lose their seasonal allergy medication, an asthmatic child who loses their rescue inhaler on Space Mountain should probably have it replaced. Each Park has a first aid station staffed by Registered Nurses, and should you have any medical problems at all, you should ask Disney for help and advice before trying to handle it yourself. Rather than going back to your room and scanning the phone book for local hospitals, ask Disney would they recommend. You are not the first person to need medical attention while on vacation at Disney World, and it may take you an hour to figure out where the closest place to go is, and how to get there, while a Disney Cast Member could have helped you answer that same question in less than 2 minutes. They can also call you a reliable cab quickly if transportation is needed. You can have prescriptions filled, and get over the counter medical supplies from Turner Drugs. They will even deliver to your Disney resort for a small fee. Turner also has a list of medical providers including walk-in clinics and doctors who will come to your resort as a concierge doctor as seen on USA Network's "Royal Pains". Safety is the most important thing to Disney Cast Members, and because of this you should be prepared that they will ask your children not to run, climb on things, or sit or stand on things they shouldn't. On a trip last year, my mother rolled her eyes at me when I would not let my sons sit on the hand rails at the "Oh, Canada!" circle 360 movie. Other kids were doing it. As soon as the Cast Member started her talk, she immediately asked those kids to get down. Those white tape lines they put on the ground for parades are there for a reason, so don't get huffy when they ask you to follow the rules. 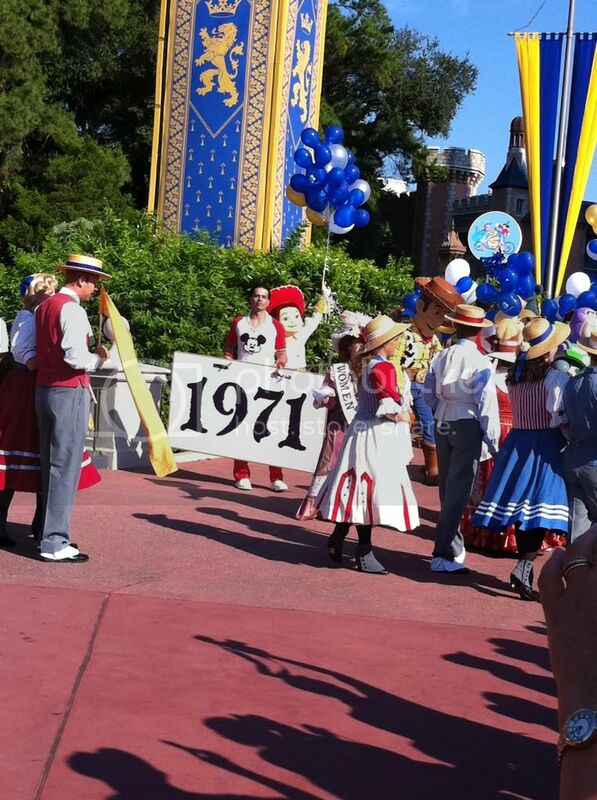 I once stood next to a family who was upset that Disney was not allowing them to stand where they wanted, because it was the crosswalk for the parade. They kept going on about "They're so uptight and stick to the stupid rules, this place is no fun", let me tell you what's not fun, your kid getting run over by a group of people crossing the street through the crosswalk when she is where she shouldn't be. So don't take it personally, the reason Disney is such a safe place to vacation is because they enforce the rules. Play safe and have fun! This is Part I of what will be a static page under "Basic Planning Advice for Beginners", but I will be loading it a small part at at time, and posting it as a blog post in segments. It seems I often get astonished looks and comments for taking a Disney trip under one situation or another that is deemed by others to be some form of vacation liability. For those who have never been to Disney, or who have only been there on one ill planned trip, going to the "Most Magical Place on Earth" under anything but perfect conditions sounds like an insurmountable task. Well this year I have three such trips planned with which to gain the admiration of others. 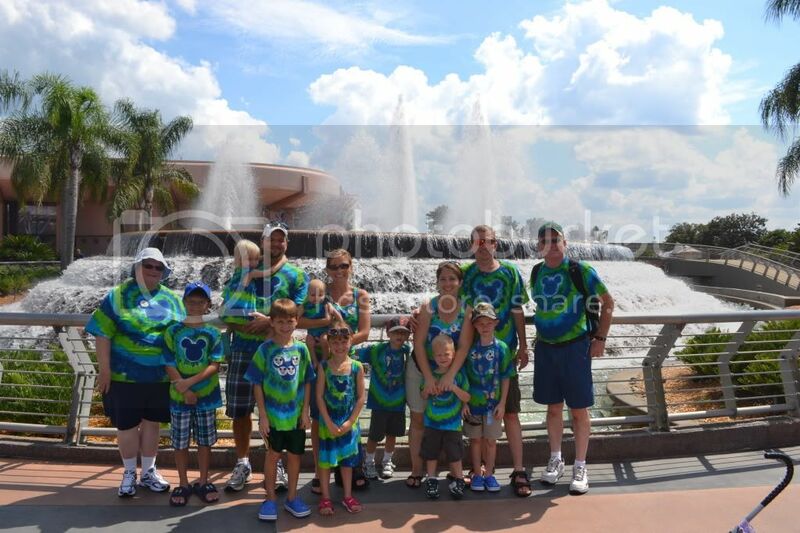 At the end of September, I traveled with my family and friends to Disney during my 8th week of pregnancy. This upcoming February, we have a long winter weekend escape planned to Disney while I will be turning 27 weeks, and next September, well I'm sure you can guess that one....Disney with a 4 month old! For a brief moment, I almost thought I wouldn't be taking our September trip. Just three days before we were to leave, an early ultrasound showed some bleeding between the baby and my uterus. As I was sitting there in the Doctor's office, I was sure she was going to tell me to cancel my trip, but thankfully, I was allowed to go! I had to be more careful to not lift anything heavy like my luggage, and not to ride anything which involved any G forces. 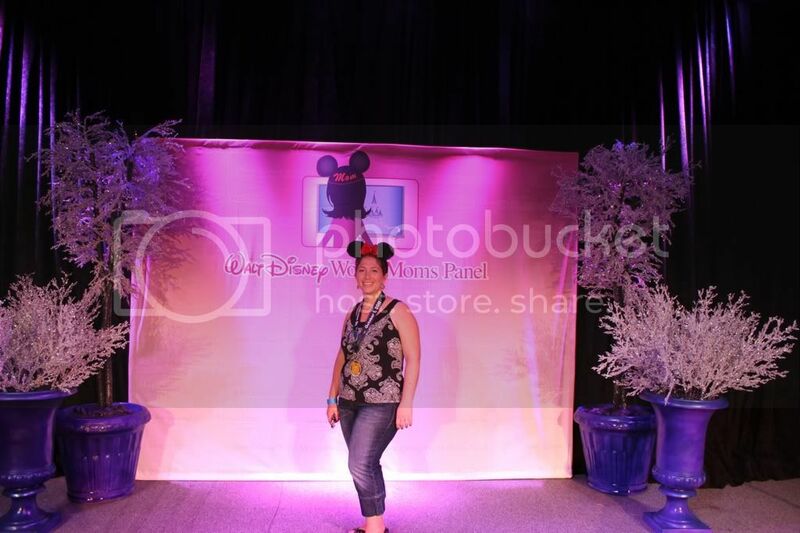 I also had to change my planned 5K run for Mickey's Halloween Family 5K, into a 5K walk. But all in all, these were pretty minor modifications. I had no intention on going on anything with a G force anyway just because of being pregnant in general. Overall, the trip, from a pregnancy point of view was a definite success, and for anyone who may be undertaking such a trip soon, I can offer some experienced advice. I must mention that I have three sons already, and I am a registered nurse in labor and delivery, so this is my area of expertise! Looks like they've got room for one more prisoner! Okay, this was my number one fear and concern regarding this trip. I, like 85% of pregnant women do get "morning sickness". Honestly, whoever coined this term should be locked in a fiery prison ala Pirates of the Caribbean. It should be called "morning, noon, and night sickness". And while it wasn't a nausea free trip, I did at least keep it in check. With my other pregnancies I just followed the "suffer and carry on" approach to nausea, but this time I did request some pharmaceutical assistance from my midwife. I thankfully had a prescription for an anti-nausea medication called Zofran. This is a common medication given for nausea, and is considered safe in pregnancy. Each morning, I would set my alarm to go off about 20 minutes before I needed to get up. I would then take my Zofran, and eat some crackers and peanut butter. I wondered if mousekeeping at Bay Lake thought I was a total pig for having food next to the bed but, oh well. This helped tremendously, and I think was the single best thing I did for the trip. Even on the morning of the race, which necessitated at 5am wake up, I felt reasonably okay. Its also a good idea to not let your stomach get too empty or too full during the day. I recommend carrying a small snack or two with you. You might not be able to stomach an entire soft pretzel, but a quick couple of crackers, or a granola bar can keep that nausea at bay. Now this may not work for you, but for me, I have always found during pregnancy, that cool, icy things seem to help. Thankfully Disney is full of frozen beverage stations. The raspberry lemonade is my all time favorite aka "Wheezy's Breezy Freezy" at Hollywood Studios, but blue raspberry Fanta or regular lemonade also hit the spot. It seemed to keep the nausea away, and did wonders to help me keep cool and hydrated. Get enough rest! Being over-tired can make the nausea much worse. So either go to bed at a reasonable hour, or try to take a mid-day nap if you know you will be up late for fireworks or other evening event. I can tell you from numerous night shifts as the triage nurse on the labor and delivery floor, that dehydration is a pregnant woman's enemy. Its a sure-fire way to feel lousy, get a massive headache, or even give you preterm contractions. You should aim to drink 64-80oz of non-caffeinated fluid daily. If you are at Disney during a hot time of year, you should be drinking even more than that. Being over-full can make your tummy upset, so its best to sip on your beverage throughout the day rather than drinking large amounts with your meals. Its important to get enough rest, especially at the beginning of pregnancy when fatigue can hit a level you didn't think possible. Mix that with the exhaustion that a week at Disney can bring on, and you'll be sleepwalking down Main Street in no time. If you are aiming to be at the park for rope drop, AND stay up late for an evening show, a mid-day break is essential. Even if it means returning to your resort by yourself without friends and family, try to get out of the parks for a few hours each day and nap. Also try to plan a day mid-trip where you are getting to bed early. I like to plan our Animal Kingdom day for the middle of the week, and after leaving the park at 4pm or so, we head back for a swim and an early bed time. "Expectant Mothers Should Not Ride"
Disney is fastidious about safety, and you will see signs on many rides with warnings for pregnant mothers. You would obviously want to skip anything that may make you nauseated. While normally a Tea Cup fan, I abstained this trip. I also had to close my eyes on Nemo in the room where all the bubbles are circling around you! Talk about dizzy! You should speak with your doctor or midwife before your trip regarding what type of rides you should or should not go on. My rule of thumb is: "If they'll let me take a newborn on the ride on my lap, I'm okay to ride". So I did go on Kilimanjaro Safari and Pirates of the Caribbean. The only exception I made to this was Soarin' as I know from being on it before that it is very smooth, and is not dangerous to me in any way. The reason you could not bring an infant is due to the fact that you are elevated many feet into the air. If you are prone to vertigo or motion sickness though, you may want to avoid this one. I did forgo all other rides with height restrictions. The wonderful thing about Disney is, that there are rides for everyone. So while the dads and kids were going down Splash Mountain, I was able to visit The Tiki Room, and Mickey's Philharmagic. There are plenty of pregnancy safe things to do at Disney, so don't feel that you need to miss out and spend the week on a park bench. If you are further into your pregnancy, I would bring a copy of your prenatal records with you in case of an emergency. Your doctor or midwife should be able to make you a copy at your office visit. I will be doing this for our February trip. Should something go wrong that necessitated a visit to a hospital or urgent care clinic, your caregivers will be thankful you have them. And of course make sure you have your health insurance and prescription card, as well as your doctor or midwife's name, address and phone number. Many travelers don't realize that there is a full service pharmacy right next to Walt Disney World property that will deliver to your Disney resort. They will deliver prescription and non-prescription drug store items for a nominal fee. If you should need a prescription filled while you are there, your doctor may call it in to Turner Drug or, if you have a written prescription, the front desk of your Disney resort can fax a form and a copy of the script, and Turner will deliver to the front desk for you. Turner is also a good resource if you need over the counter medications such as tums, Tylenol, or cold remedies that are recommended by your doctor. We have used Turner Drug on two separate trips and have been very happy with the service. Be aware however, that they do not accept insurance as they are dealing with a tourist population. They will however give you the necessary paperwork if you would like to file your own claim upon request. 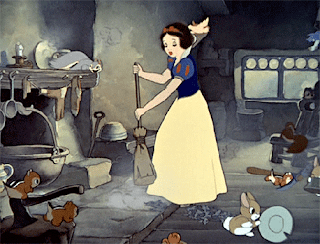 Going to Disney while expecting is very doable and not something you should be afraid of. Just be prepared, drink lots of water, and slow down. And most of all have fun. You can dream of all the wonderful things you will get to do with new baby on another trip. Part II of this report will follow this winter after our February trip. I'll be getting big and turning 27 weeks while we are there, so that trip may be quite a bit different for me! 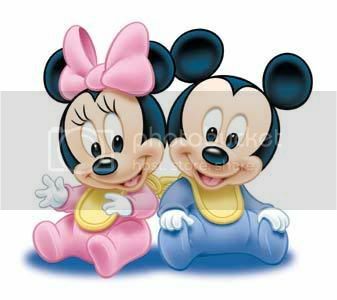 Have you visited Disney while expecting? Leave a comment and let us know how it went. Feel free to share any additional tips you may have! 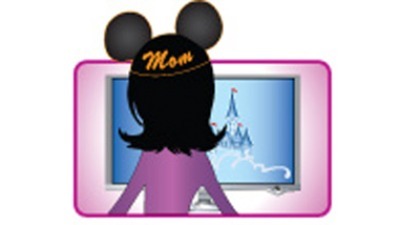 This post is part of the Disney Blog Carnival . 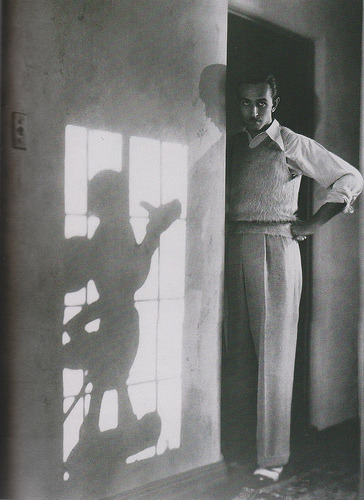 Head over there to see more great Disney-related posts and articles. 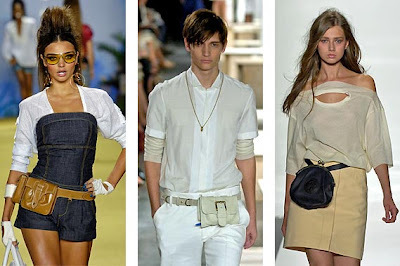 Part II of this post is complete, check it out by clicking here. One of my big tips I give to families planning a Disney vacation is to bring a stroller for older children. While everyone plans on a stroller for the 3 year old, most families don't even consider bringing a stroller for an older child, and this can be a BIG mistake. 2. I'm tired of walking. 4. Will you carry me? 5. Can I ride on your shoulders? 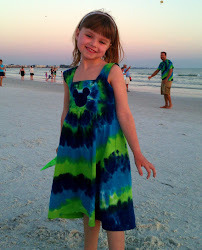 So, at this point, lots of parents are thinking, "I really don't want to drag a stroller to Disney for my 7 year old". Let me tell you this, dragging a stroller is a lot easier than dragging a 50lb 7 year old around all day. Strollers do come with benefits after all. 1. Many kids are able to take a cat nap in a stroller, or at least fall asleep in them on the way out of the parks at night. 3.Your child will have a good little seat to sit in to watch the parades and fireworks, and parades. 4.You will have the stroller to help you move faster and safer with the kiddos when crowds are thick, or you are racing through an airport to make your connection. 5.You won't have to listen to the complaints listed above. I really cannot emphasize enough that most parents over-estimate their child's ability to handle the amount of walking involved in a Disney vacation. If you have a child ages 8 or under, you will want to seriously reconsider the stroller situation for that child. If there are more kids than adults who can push a stroller, the older two may take turns, or you can consider renting or bringing a double stroller. If you do heed my advice and decide to have a stroller, there are several ways to go about it. This works well if you have a lightweight, easy to fold, collapsible stroller already, or if you have a friend willing to loan you theirs for the week. Even if you don't have one already, it may be more cost effective to purchase one prior to your trip. Even a $20 umbrella stroller from Babies-R-Us or Walmart will do the trick. If you have one older and one younger child, you can consider a "Sit-N-Stand" type, just be aware that some older models can be fairly heavy, or difficult for a little one to climb into the front. Florida law states that all strollers must be folded up on the buses, and Disney absolutely enforces this on its buses, so be sure that you can fold it easily and that it is not too heavy. Bringing a stroller from home is often the least expensive option, and it allows you to use that stroller at the airports and getting to your resort. If you have a car, you can always take an excursion to Walmart, Costco, or Target in Orlando, and pick up a stroller there. If you are without a vehicle, you can purchase a Kolcraft stroller at many of the Disney gift shops and at the entrances to the parks. We did end up purchasing one of these on our last trip (long story), and although it was $50, it was a pretty good umbrella stroller. They are all the same, black and red (Mickey colors! ), and come with a reclining seat, umbrella awning, storage bag, and cup holder. They seem pretty sturdy for the money, and we rather liked ours. They same one on Amazon retails for $48, so Disney didn't totally mark up the price. 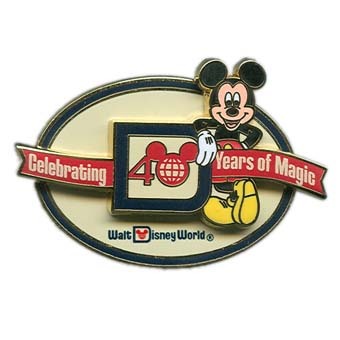 They are usually for sale right near the entrances to the parks, we bought ours at the "Newsstand" right past the turnstiles at Magic Kingdom. You can, and many people do, rent strollers from Disney. These strollers are hard plastic, have an awning, and come in single and double sizes. The benefit is you don't have to bring one from home, and you can pick one up at each park as you enter. For those that don't want to deal with one in the airports, or who don't want to have to store one in their hotel room, this is a good solution. The down side is that they are really better for toddlers and school age children, and not well suited to babies. They do not recline and can be a little uncomfortable. They also look like about a million other Disney strollers, so finding yours in a crowd can be tough. And people have been known to just take your Disney stroller, when they can't find their own. If you are renting one from Disney, or you get there and realize you should have brought one and are now at the mercy of renting one from Disney (I swear this is the majority of the rentals), try to tie something bright and different to your stroller to make it easy to find in a crowd. A bright hair ribbon, or glow necklace at night. Others are less likely to take your stroller if it has something personal left on it, like a diaper bag or sweater. This option can be expensive though. A single is $15 a day, and a double $31. If you pre-pay for your length of stay, the price drops a little to $13 for a single and $27 for a double. There are several companies in the Orlando area that offer stroller rentals. I would recommend Magic Strollers, from the family that started Owner's Locker. You can rent both single and double strollers, and they will deliver them to your resort on your arrival day, and pick them up when you leave. You don't even need to be there, as they will leave and pick up your stroller with Disney's Bell Services at your resort! A single stroller, which is much nicer than Disney's if you ask me, is $15 for the first day, then $8 for each additional day. A double is $25 for the first day, then $9 for each additional day. By renting, you get the convenience of the stroller at your resort. If you have a bit of a walk from your bus stop to your room, this can be very nice getting a sleepy child off the bus late at night, in that you can just pop them in the stroller and wheel them right up to their bed! Whichever method of getting a stroller to Disney is best for your family is up to you. If you still have any doubts about taking a stroller for an older child I simply cannot emphasize enough how much better it will make the vacation. YES, your 6 year old NEEDS a STROLLER. They do. They really, really do. If you came here looking for tips and tricks for a better Disney vacation, this is one of them. I had friends who went recently who decided to bring one umbrella stroller for the 6 and 7 year old to share, who ended up running to Walmart half-way though the trip to buy a second stroller. On our most recent trip, our newly minted 9 year old rode in the stroller on several occasions. Strollers make perfect stadium style parade seating!One of our strollers is missing from this photo, 4 adults = 4 strollers!